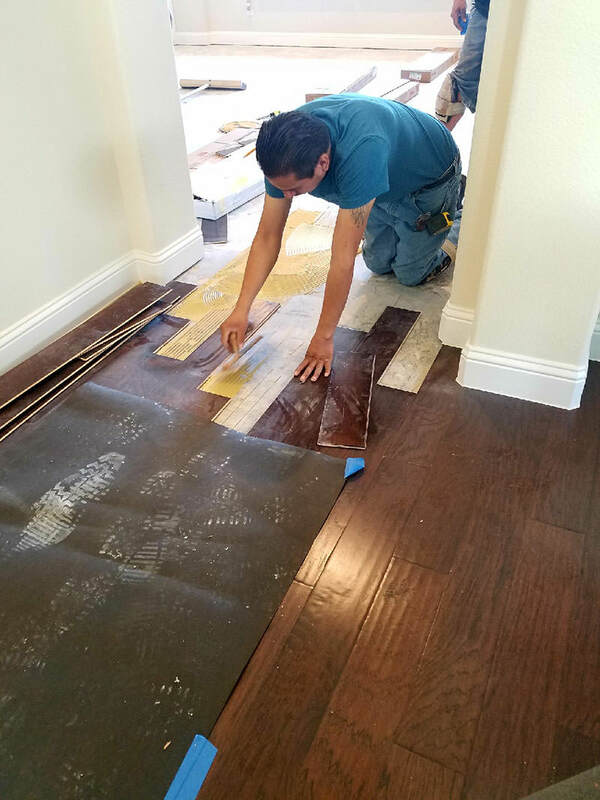 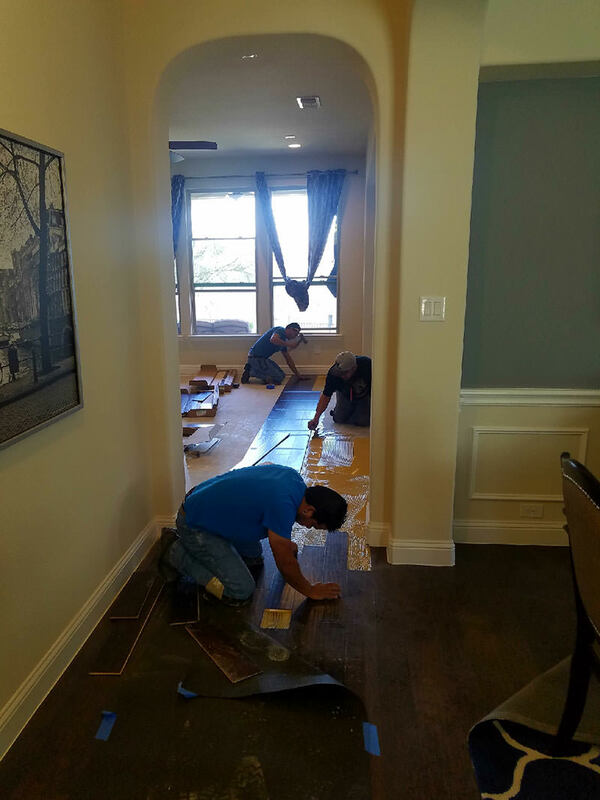 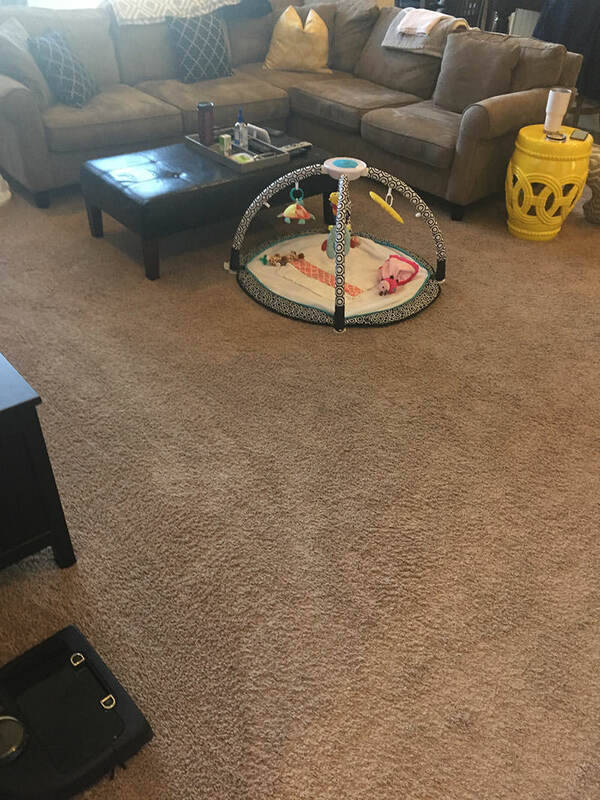 The customer had carpet in their living room and wanted to install engineered hardwood flooring. 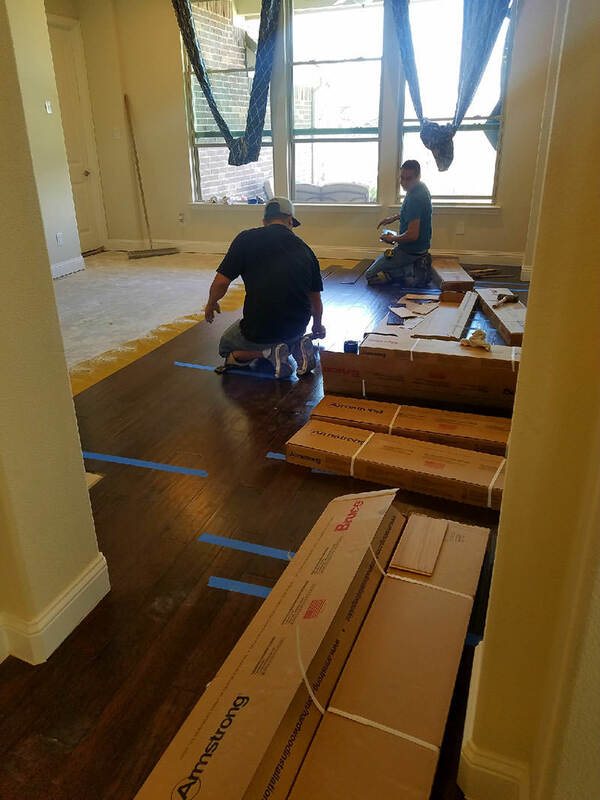 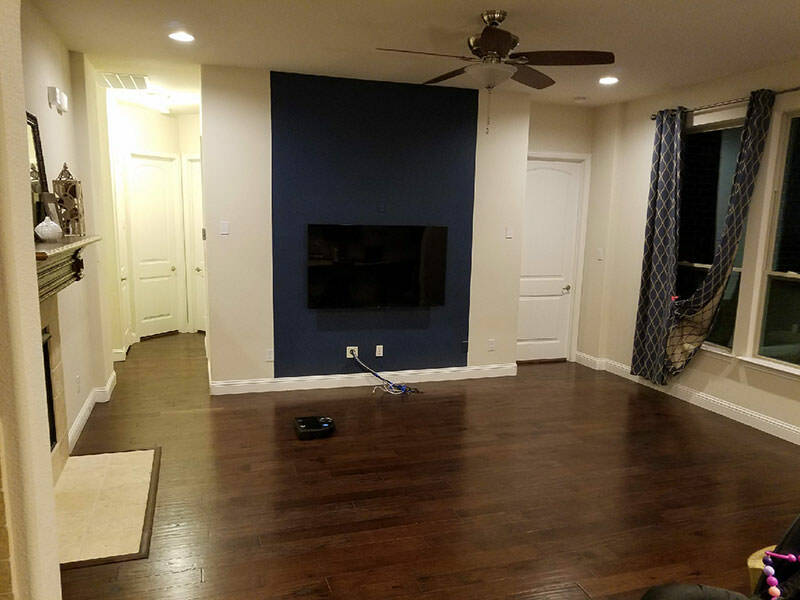 We removed the carpet, prepped the area and glued down the new engineered hardwood flooring. 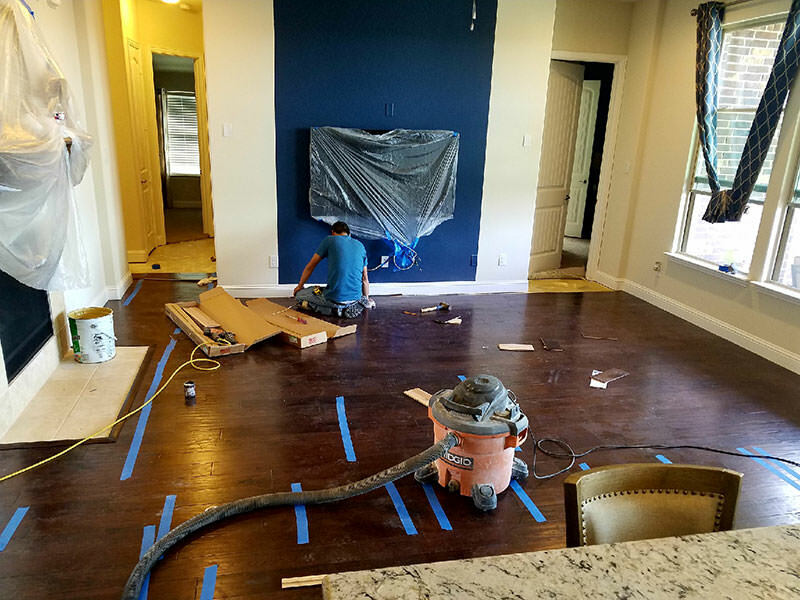 One of the rooms already had hardwoods floors installed so we laced in the new hardwoods for a flawless transition.